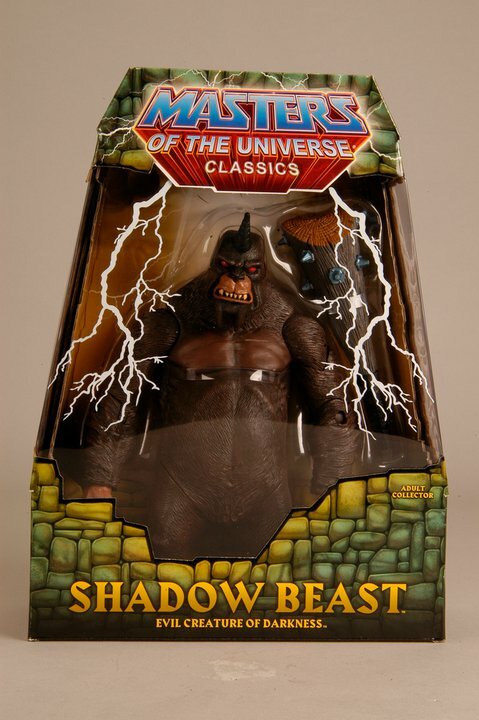 Matty Collector has updated their Facebook page with new in package pictures of the upcoming MOTU Classics creature Shadow Beast. 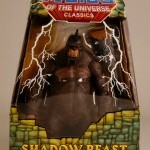 Shadow Beast is available for sale at MattyCollector.com in February 2011. 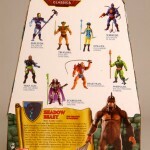 Shadow Beast is available for sale in February 2011! 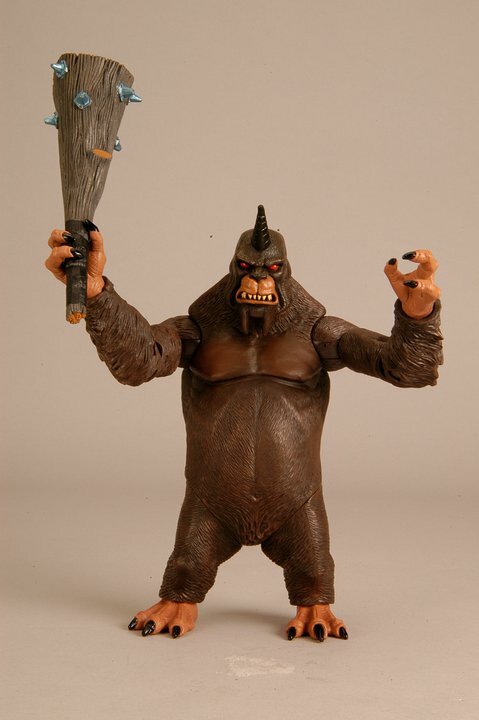 I know nothing of this figure or character. Since I can't relate to it, to me it's just a large ape like Grog. 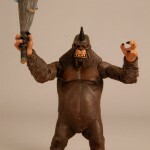 Looks to me like George and Lizzy from Rampage had a baby. 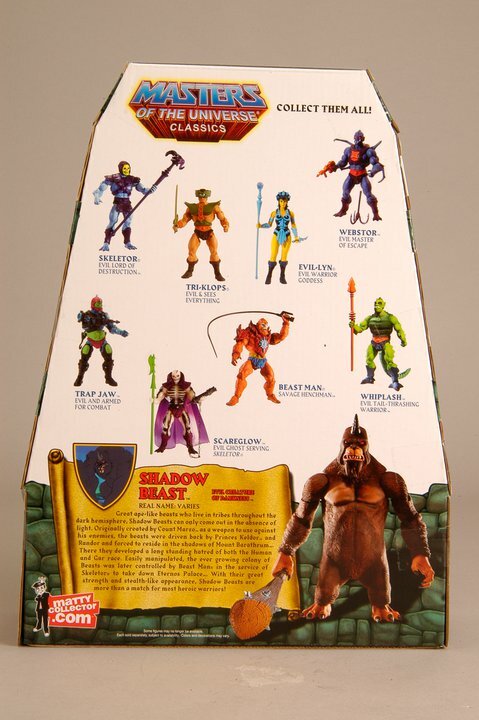 to be honest i could care less about any beasts until panthor. i'm stoked for that fig! I'm on the fence about this one. I'll probably decide in February when it goes on sale. I agree that Panthor is on the top of my list too.